Meeting the needs of our Sponsors and helping them progress their development objectives is a major driver of our commitment to the miracle of medicine. All members of our team play a critical role and we appreciate their efforts in supporting the growth and success of our company. Their outstanding contribution deserves to be recognized both as a reward for exceptional performance and as a model to other employees. Congratulations to Karen Mujalli for receiving the February HPCTC Employee Excellence Award!!! Karen has been a member of the Recruitment team since May of 2015. She is now a Senior Recruitment Coordinator that is described as a person who treats everyone with respect, always willing to help, reliable and ready to work harder than expected. Karen’s exceptional work ethic, initiative and creative problem-solving skills make her a shining example to her team and to the clinic overall. “Karen consistently rises to the challenge to meet seemingly impossible tasks”. This comment is one of many acknowledgements that Karen has received about the way she contributes to HPCTC. Karen says she loves her job and that everything she does is for the team and the company, not for herself. She applauds her team for rising to do whatever is needed to help each other. Karen is a shining star and very worthy of the HPCTC Excellence Award. We are fortunate to have Karen as part of our team and remain by her side in support of her continued success. Congratulations to Tonya Wilkerson for receiving the January HPCTC Employee Excellence Award!!! Tonya received several nominations for our January Employee Excellence Award. The words, kind, friendly, helpful and professional were used repeatedly by her colleagues. Tonya is our Visitor’s first contact at the Front Desk and as such she spends much of her day greeting Study Participants, Sponsors, Visitors, and fellow Colleagues, with a smile and the greatest of professionalism. Since joining HPCTC Tonya has been trusted with increased responsibilities. 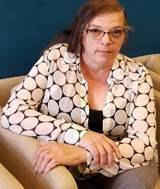 She is often found reviewing paperwork with Participants, managing mail and supplies, and assembling binders for the screening department. She is always willing to assist her colleagues in any way needed and to stay after-hours in an effort to meet the expectations of our Clients. Tonya’s positive outlook, work ethic, dependability and willingness to help others truly exemplifies the spirit of the HPCTC Excellence Award. Tonya says that her experience at HPCTC has been very enriching and that the family spirit within the organization is very refreshing. She enjoys helping others, learning about the studies and contributing to HPCTC’s commitment: science at the service of our Participants, Sponsors and Colleagues. We are very fortunate to have Tonya as part of our team and wish her continued success. Congratulations to Perla Alvarez for receiving the December HPCTC Employee Excellence Award!!! High Point CTC. Perla is a Recruitment Coordinator and joined our Team in April of 2017. The Recruitment department is the first contact to people who want to know more about who we are, and how they can play a part in the important work we do. We are very fortunate to have an enthusiastic, knowledgeable and professional team of Recruitment Coordinators who do an excellent job of recruiting and screening potential candidates for our studies. Perla was specifically recognized for the positive and professional manner that she represents the company in her daily interactions with potential Participants, with team mates and especially at our community screening/recruitment events. Perla’s teammates describe her as someone who always demonstrates good leadership, is reliable and treats everyone with respect. She eagerly jumps in to assist Participants and team mates without being asked. Perla received several nominations for the December Excellence Award due to her excellent job knowledge, her helping attitude and her willingness to always help wherever needed. High Point CTC’s Director or Recruitment, Farid Zeatar, values and appreciates the work that Perla does and by the same token would like to acknowledge his entire team by name, Karen, Abigail, Daisy and newest member, Maria for all of their dedication and hard work. Perla says she loves working at HPCTC and being a member of the recruiting team. She enjoys getting firsthand clinical research experience and learning about how specific medical concerns and conditions are affected by marketed medications and investigational products. She enjoys learning about drug development and this knowledge has proved to be an invaluable frame of reference for her as she is currently pursuing a degree in Nursing. Perla especially wishes to thank all of her team mates for their guidance, support and coaching. She says they have been invaluable in her growth as an outstanding Clinical Research Coordinator. We are pleased to have Perla as part of our Team and wish her continued success! Congratulations to Patricia Pittman for receiving November HPCTC Employee Excellence Award!!! Patricia is our Regulatory Specialist and has been here since June of 2016. She is described as a person who inspires others to learn and seek excellence. She is known throughout the company as a person who consistently delivers a high quality product, demonstrates initiative to excel and always has a positive and enthusiastic attitude. Patricia manages her high volume of detailed work with a sense of urgency and attention to detail. She always interacts with co-workers, sponsors and monitors with professionalism and poise. She performs her job with Excellence in every way. We are pleased to have her as part of our team. 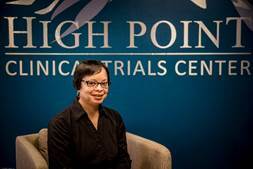 We are highly appreciative of Patricia’s contribution in the growth of High Point CTC. Congratulations to Deanna Franco for receiving October HPCTC Employee Excellence Award!!! Deanna joined our team as a Data Entry Specialist in October of 2015. Deanna embodies what it means to be a team player and a role model of HPCTC core values. 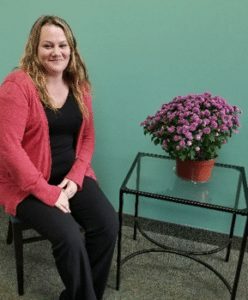 Deanna was nominated for the HPCTC Excellence award because of her desire to always seek perfection, her problem-solving skills, and the fact that she treats everyone with respect. The selection committee also commented on Deanna’s proactiveness, dependability and her willingness to always consider the good of the full process, not just her individual contribution. When asked what her favorite memory was working for High Point Clinical Trials Center, she quickly replied “it’s being selected as the October HPCTC Excellence Award Winner.” Deanna says she enjoys coming to work every day and doing what she loves. It is a great feeling knowing that the HPCTC team values the work she does and that she is appreciated. Deanna’s supervisor, Ben Aldridge, stated, “Deanna is a person whose work ethic is hard to come by. We identified Deanna in 2015 and hoped she could take on the responsibilities of a former team member that had left the company. She has absolutely excelled in this role. Everyone that works here can learn from Deanna’s driven nature. I hope she continues to progress and grow with HPCTC. Deanna challenges herself to be better and do better. She strives to help others in need and to accept help from others when she is in need. Sometimes being the teacher, sometimes being the student allows her to gain information and knowledge that make her a great asset to HPCTC. Deanna says she is thankful for HPCTC and the opportunity to work here. We wish her the best of luck in her career here at HPCTC and we know she will continue to do great things!